New analysis of Phase 1 drill results from Axiom Mining’s San Jorge deposit turned up scandium and cobalt. 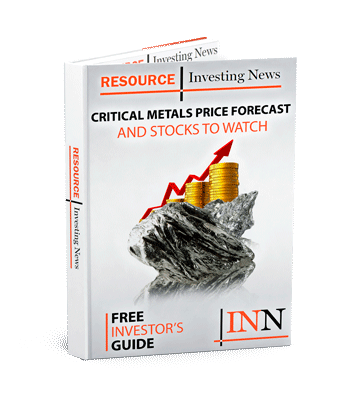 Axiom Mining (ASX:AVQ) has uncovered a greater variety of minerals than expected at its San Jorge deposit in the Solomon Islands. San Jorge is part of the company’s Isabel project, where it has been exploring for nickel. But new analysis of Phase I drill results reveals that in addition to nickel, the deposit contains scandium. What’s more, the cobalt in the deposit is much higher grade than anticipated, and than was previously recorded by historical explorers. The company says that 82 percent of drill holes at San Jorge intersected enriched mineralization. It notes that individual 1-meter samples contain up to 0.39 percent cobalt and 120 parts per million scandium. Axiom’s discovery is exciting in part because some experts believe scandium is a compelling investment opportunity. However, it’s worth noting that mining the metal can be challenging. For example, while large deposits of high-grade scandium have been found in Australia, in most cases it occurs alongside other minerals and in quantities too low for companies to consider extracting. Less than 20 MT of the material is mined annually and it is usually a by-product from mines in Russia and China. Because so little scandium is extracted, it is currently not used widely. However, because of the metal’s promising applications, some think once it is extracted in large enough quantities it will be easy to find buyers. Notably, aircraft and automotive industries discovered in the 1970s that if they alloyed aluminum with scandium, the resulting material was more corrosion-resistant and strong enough to be welded instead of riveted. The outlook for cobalt is also promising. Cobalt is used to make lithium-ion batteries for electric vehicles, and demand from that sector is on the rise. There is also public pressure to find and mine cobalt that does not come from the Democratic Republic of Congo due to concerns about child labor. Axiom is well aware of those factors, though Mount emphasized that nickel will remain the key focus at San Jorge. “We are a nickel miner but there are potential buyers of our ore who would very much be interested in the cobalt and scandium they could extract from the deposit,” he said. Axiom’s discovery appears to have resonated with investors, as its share price rose 12.5 percent on Thursday to close at AU$0.135. The company’s Phase 1 drill program at San Jorge wrapped up in March, and it is now waiting to receive government approval for its mining lease application. It plans to start mining in the first half of 2017, and the plan is for a Phase 2 drill program to begin at the same time. The firm is also currently awaiting a government decision on its prospecting license for the Kolosori deposit on neighboring Santa Isabel Island.